Latin America is a spectacularly beautiful place. When it comes to Cuba though, the level of tourism is upped.. When it comes to Cuba though, the level of tourism is upped. You get the chance to visit historical structures that are spread throughout the country as well, as live the beautiful Havana lifestyle that you’ve heard of and seen all life long. 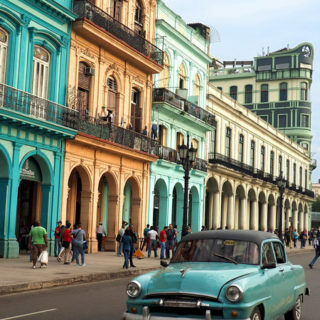 Just book a hotel in the center of Havana, visit and drench yourselves in the nightlife and engage in exploration through the days. While, not as extreme as some of the other places in Latin America, Cuba offers plenty of adventure sports for people who’re out looking for thrills too. 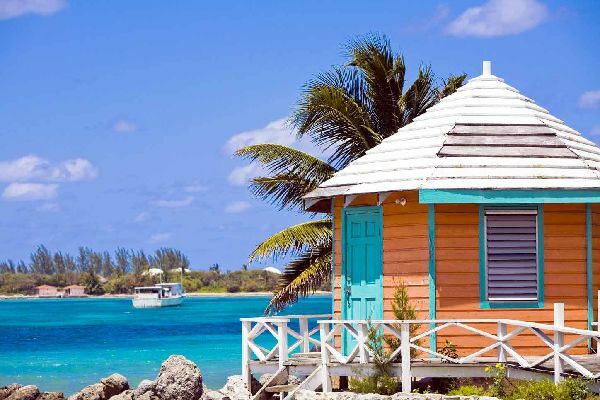 Here are some places that you need to visit, which will make you fall in love with the country. Malecon is where Havana comes out to play. A stretch of private businesses, beautiful buildings and everything you might need besides the sea, this remains a top attraction for tourists as well as locals. Treat yourself at a Cuban cafeteria with the local delicacies and have a Cuban cigar to enjoy the atmosphere. Of course, you can’t go to see the famous Malecon of Havana without engaging in some beautiful salsa dances at one of the local clubs which comes alive at night. Remember to take a stroll by the Malecon at night since it offers one of the best views of the city that you can get. 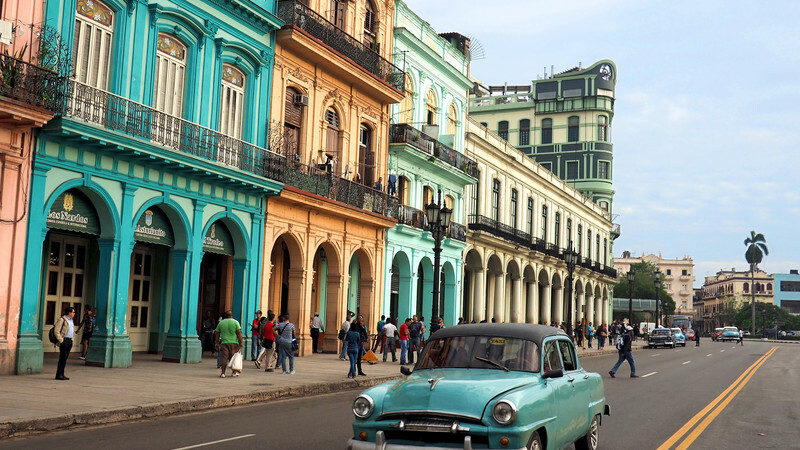 Havana has seen much change over the years, and the Old Havana remains a testament to that sentiment. Filled to the brim with neoclassical churches and highly decorated centers, this area has earned to the title of a UNESCO heritage site. Every part of this area exudes charm, with the architecture dating back to the 17th and 18th centuries and having a host of beautiful selections that you can enjoy. Remember to visit the different Plaza squares and have a taste of the local cuisine that’s readily available here. If you want to know more about Havana, don’t forget to visit the link. Cuba was torn apart by revolutions, and Castro found his last resting place in this cemetery. One of the most prestigious areas in Cuba, this cemetery should be on your itinerary simply because of how important it is for the local people, and how its legacy still stands. Take along a guide to know about the historical context of the graves, and pay your respects before you move back to your daily work. While Castro was quick to say that religion is against the revolution, no churches were burned down or destroyed. Over the years these 16th-century cathedrals and churches have become a part of the history of Cuba through religious and cultural turmoil. Check out the haunting churches and cathedrals and the beauty of these old structures that have withstood everything that came its a way. The famous tabletop mountain is a hotspot for biodiversity in Cuba. If you plan to check out the various wildlife and vegetation along the way, this is the place you have to visit. As with anything tropical, remember to keep a bug spray handy and take along a guide to put you in the right direction. It’s highly recommended that you start early since, the road is almost 8 kilometers long, and can take quite a while if you’re not experienced. If visiting art galleries and purchasing art are among your favorite travel activities, simply continue reading to discover 5 artsy travel destinations which are well worth visiting. If you’re a fan of cubist art or abstract art and would love to see some of Pablo Picasso’s artwork in person, it’s well planning a trip to Barcelona, as it is home to the Picasso Museum Barcelona. Where you’ll be able to browse the museum’s permanent collection which boasts 4,251 pieces as well as the museum’s temporary exhibits. Whilst in Barcelona, it’s also worth visiting Park Guell, which was designed by the prominent architect Antonio Gaudi and features colorful mosaic buildings and seating. When you enter the Park Guell, make sure to spot the gatehouses which Gaudi based off the witch’s house in the much-loved children’s fairytale Hansel and Gretel. If you’d love to be able to pick up a unique piece of art on your travels, your first stop in Prague should be the Charles Bridge, a picturesque historic bridge which hosts a daily market, where you’ll find dozens of artists at work creating one of a kind pieces of art. If you’re interested, you’ll even be able to purchase a painting of the Charles Bridge itself! Whilst you’re in Prague, it’s also worth visiting Prague’s top-rated art museum the Museum Kampa, which specializes in showcasing art from talented central European artists. The Netherlands is known for producing a few of the world’s most famous artists, three examples of which include Vincent Van Gogh, Johannes Vermeer, and Rembrandt. So it’s well worth visiting the Netherland’s capital city if you’re interested in viewing original pieces from Dutch artists such as Van Gogh, Vermeer, and Rembrandt. If you’re keen on learning about the Netherland’s most famous artists it’s well worth visiting the Van Gogh Museum, the Hermitage Amsterdam, the Amsterdam Museum and the Rembrandt House Museum. Berlin is known for its striking street art, so if you’re a fan of non-conventional forms of art, it’s well worth taking a stroll through Berlin’s city streets! If you’re interested in viewing street art whilst learning about Berlin’s chequered past, it’s well worth taking an escorted tour of the remains of the Berlin Wall, which once separated East Berlin and West Berlin and is now covered in creative street art. Berlin is also home to a multitude of art museums and galleries. Two examples of which are the KW Institute for Contemporary Art and the Berlinische Galerie, which is housed in a converted warehouse. While you may be surprised to see Tahiti feature on a list of artsy travel destinations, most of the revered artist Paul Gaugin’s paintings were painted in Tahiti and depict Tahitian natives and beaches. So if you’d like to see the inspiration behind Paul Gaugin’s paintings, which hang in some of Europe’s most prestigious art museums, it’s definitely well worth visiting Tahiti. So if you’re compiling a list of artsy travel destinations which you’d like to tick off your bucket list, it’s well worth adding all five of the destinations which are featured above, to your list. Hi and welcome! I’m Lenny, and this blog space is my Internet home. I write, I cook, and I design. I love to take pictures of all things food and home décor.